The president’s visit will cap a period of active Chinese diplomacy. It also suggests Beijing’s diplomatic priorities. 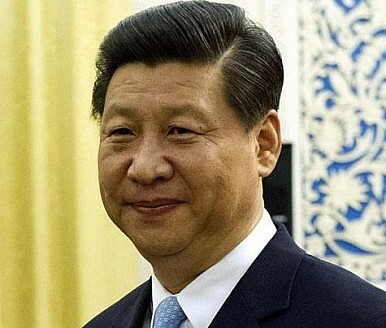 An official announcement on May 21 revealed that Chinese President Xi Jinping will be visiting the United States in June, where he will meet with U.S. President Barack Obama at a Californian retreat. The visit is a fitting end to the first round of diplomatic outreach by the new Chinese leadership. Qin Gang, a spokesperson for the Chinese Ministry of Foreign Affairs, announced the itinerary for Xi’s second overseas trip since taking office. Qin said that the president would be visiting three countries – Trinidad and Tobago, Costa Rica, Mexico – from May 31 to June 6, and would then meet with Obama at the Annenberg Retreat in Rancho Mirage, California on June 7-8. The highlight of the trip is undoubtedly the Sino-U.S. summit. According to Qin, the two leaders will “have an extensive and in-depth exchange of views on bilateral relations as well as international and regional issues of common interest. It is believed that this meeting is important to the long-term, sound and steady development of China-US relations as well as regional and international peace, stability and prosperity.” Qin also noted that National Security Advisor Tom Donilon will visit China from May 26 to 28, to prepare for the summit. This news has been quite sudden, but it allows us to identify some characteristics of current Sino-US relations. First, it was interesting to note how little coverage of the visit there was prior to the official announcement, even in the usually well-informed international media. In fact, the summit is to be held somewhat earlier than expected. That suggests both sides were careful in their preparations and attention. Second, the fact that planning for the visit involves the U.S. National Security Advisor and his counterparts in China indicates that security is an important objective of this visit, rather than the usual focus on general political, economic and cultural issues that might be associated with a state visit. Third, Xi visited the U.S. in February 2012 when he was vice president. The upcoming visit is coming only just over a year later and only two months after taking office. That’s quite unprecedented in the context of bilateral relations. Former President Hu Jintao took office in March 2003, but didn’t visit the U.S. until three years later in April 2006. Jiang Zemin became president in March 1993, and made his first U.S. visit four years later, in October 1997. Finally, this is not a state visit. Xi and Obama will meet at the Annenberg Retreat in Rancho Mirage, California. The arrangement suggests a degree of maturity in the Sino-U.S. relations, and a chance to take the relationship to a new level. Xi Jinping’s visit is the climax of a wave of diplomacy that has taken place in the 100 days since the new Chinese leadership took office. Over the past three months, top Chinese officials including President Xi Jinping, Premier Li Keqiang, Vice President Li Yuanchao, State Councilor for Foreign Affairs Yang Jiechi, and Foreign Minister Wang Yi have all taken trips abroad. Destinations have encompassed Africa and Latin America; Russia, Germany and other major powers, Tanzania and a number of smaller countries; both India and Pakistan as well as other Chinese neighbors; and traditional friends such as Venezuela. Xi opened his travels with Russia, and so the U.S. trip is a fitting bookend. These visits underscore the importance Beijing places on relations with both Moscow and Washington, and its interest in keeping those ties steady. It also offers evidence of China’s commitment to multi-faceted – or “all-directional” – great power diplomacy. Are the European Union and China Systemic Rivals?Vatican Renews Overtures to China Ahead of Xi’s Italy VisitChina’s Top Anti-Corruption Organ Declares Safeguarding Xi's Status Its Top PriorityXi: China Must Never Adopt Constitutionalism, Separation of Powers, or Judicial IndependenceHow Old Is China’s Belt and Road Initiative Exactly?